What is the president-elect’s stance on privately-funded exchange programs? What will the new makeup of Congress mean in terms of budget processes? Who will run the congressional committees upon which so many programs rely? How do broader immigration issues fit in with exchange programs and how will these issues shape the public’s perception of exchanges? Ilir is a life-long human and civil rights activist. Ilir came to the U.S. as a political refugee. He took part in an IREX exchange in Albania after law school. He also helped to establish the Hope Fellowship program, a women’s leadership exchange established to promote development after the Kosovo War. 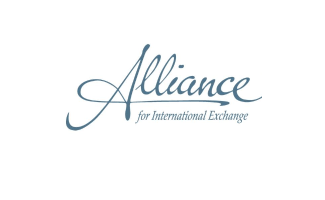 Ilir joined the Alliance for International Exchange as of 1 January 2016. Under Ilir’s leadership, the Alliance is expanding its engagement with the media, Congress, and the Administration. Most recently, he was the Executive Director of the National Conference on Citizenship (NCoC). At NCoC, Ilir played a central role in developing the Service Year exchange designed to dramatically increase the number of national service positions in the U.S. Previously, he was the Executive Director of DC Vote, where he created and led a coalition of 100 nonprofit advocacy organizations focused on promoting full DC representation in Congress. Ilir also co-founded and led the National Albanian American Council (NAAC). NAAC successfully advocated for U.S. intervention to stop ethnic cleansing in Kosovo. Ilir gained political experience working in the Clinton Administration and re-election campaign. He also served on Capitol Hill for Congressman George Miller. Ilir has taught emerging leaders at Georgetown University and is an associate with the Human Systems Dynamics Institute. In addition to his professional accomplishments, Ilir has served as an advisor to four presidential campaigns and the Ad Council. He is also a judge for the NAB Service to America Awards. 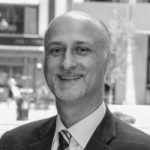 Ilir graduated with distinction from Cornell University and received his law degree from the University of Virginia.